The IGNITE XT’s are packed with performance-enhancing features including, a full-length IGNITE foam midsole for optimal responsiveness and energy return; flex grooves to enable fast, multi-directional movement and agility; and additional heel thickness at the sides to support side-to-side movements. The shoe’s mesh upper design offers lightweight flexibility and an incredibly comfortable fit. Well it certainly sounds impressive, but science and research aside, I want to see if these training shoes really live up to the hype. Can they keep up with me and my jam packed training schedule? Will they adapt to my varying weekly classes and workouts, while providing maximum comfort and support? I think it’s time I put these trainers through their paces to find out. What better way to kick-start a test run than with an early morning boxing session with Carlos Moreno (a four-time international boxing champion) and his team from Moreno Boxing. Moreno Boxing is known for it’s emphasis on nurturing both fitness and boxing technique from the very basic beginner level through to the experienced boxer, with a focus on teaching correct boxing techniques and improve fitness. If anything was going to put these shoes through their paces, then this was it! They promised a high intensity, HITT style workout and they didn’t disappoint. We skipped, ran, boxed, sparred, performed burpees, press ups, sit ups, planks (to name just a fraction of what we managed to cram into an hour) and so far, so good. The IGNITE XT were everything they promised to be offering support and comfort throughout the workout and I would go as far to say they gave me an extra spring in my step. So it was time to up the anti and try these beauties in my usual (often overloaded) workout week. Would they hold their own when it came to my usual training schedule? 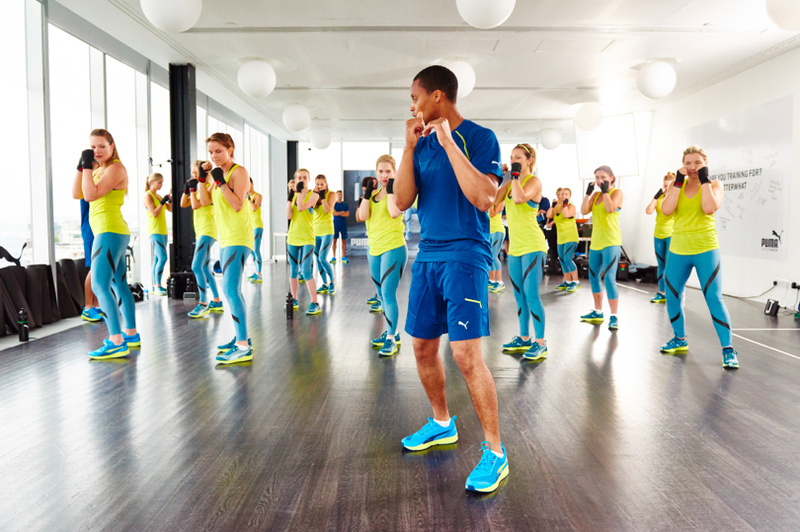 IGNITE XT it’s time to meet Body Step, Body Combat, Kettle bells to name just a few…My workouts are often diverse as I Iike range and variety, so have I found a training shoe that can keep up? In short the answer – yes! As promised the IGNITE XT were light, supportive, very springy and as someone who is prone to shin splints (an old, reoccurring dance injury) I’m pleased to say that so far I’ve managed to workout pain free too, which for me is no easy feat and a huge plus point! 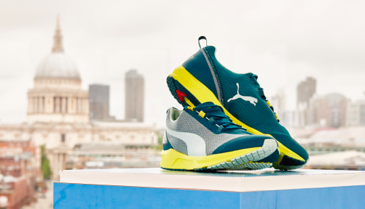 So are the PUMA IXNITE XT everything they promise to be? Well for me it’s an unresounding yes! They feel great, offer fantastic support and they look good too, so you’ll be wearing them with pride in and out of the gym (especially if you team them with the new blue coral, pwrshape tights). Ladies and gents it’s time to ignite your training sessions. If you’ve also tried these shoes, I’d love to hear what you think. All comments are welcomed below, I look forward to hearing your thoughts!